Every organist dreams of playing a pipe organ. But not every organist has 24/7 access to a pipe organ. The Johannus LiVE 2T bridges the gap between dream and reality. 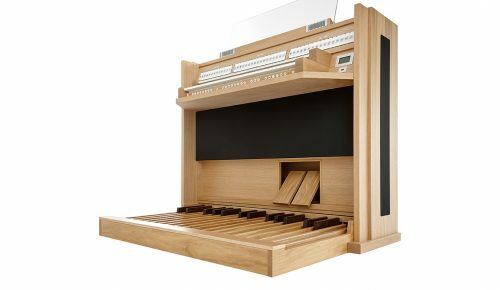 From now on, you too can have the finest pipe organs in the world in your own living room. 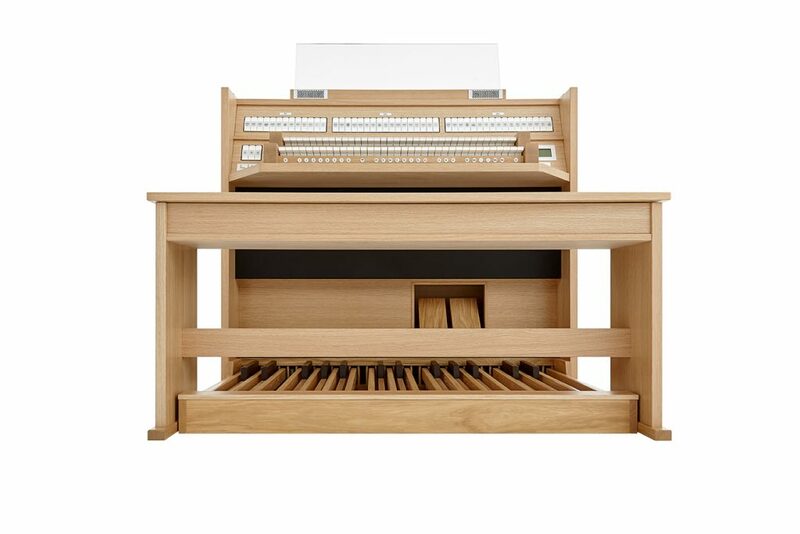 The Johannus LiVE 2T is a high-quality digital organ equipped with a standard stoplist with 44 stops. However, there is something extraordinary about this stoplist. 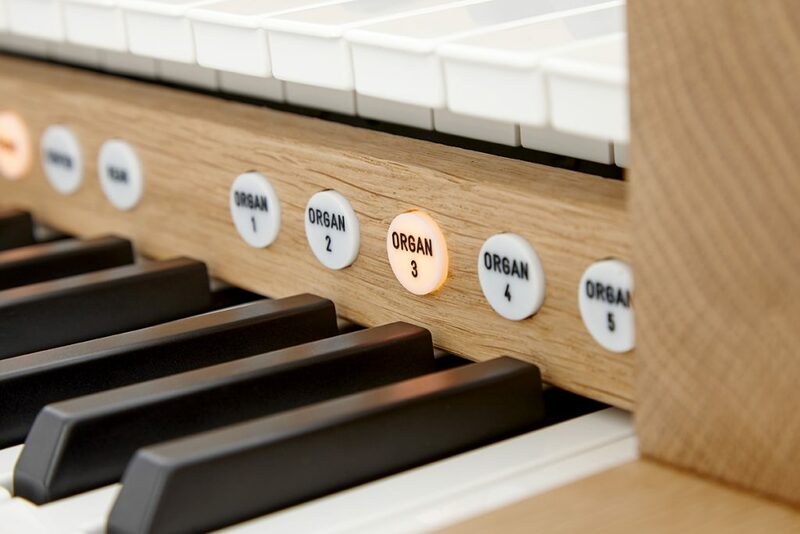 Although it is physically static, it is dynamic in its use – the 44 stop tabs represent dynamic stoplists, which change according to the pipe organ selected. 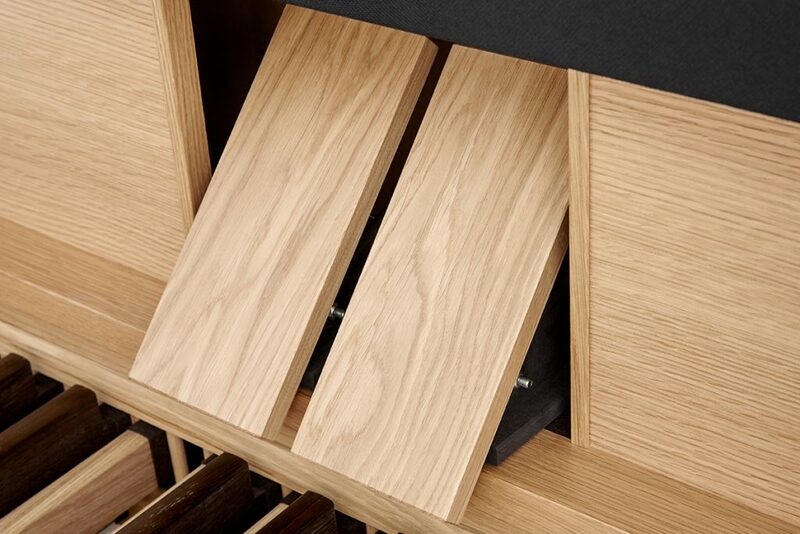 For example, the Principal 8’ stop tab can represent both the Diapason 8’ of the Cavaillé-Coll organ in the Notre-Dame in Paris, and the Principal 8’ of the Bätz organ in the Dom Church in Utrecht. 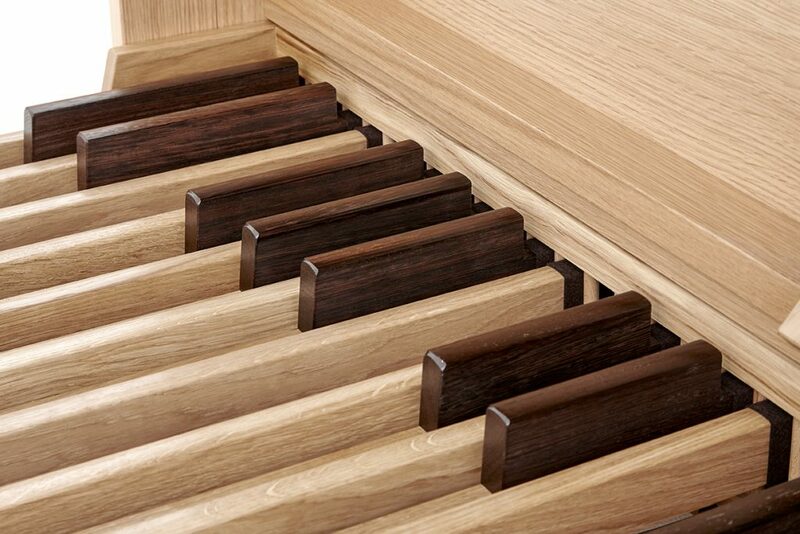 The fixed stoplist was developed based on a sophisticated cross-section made by Johannus of pipe organs around the world. 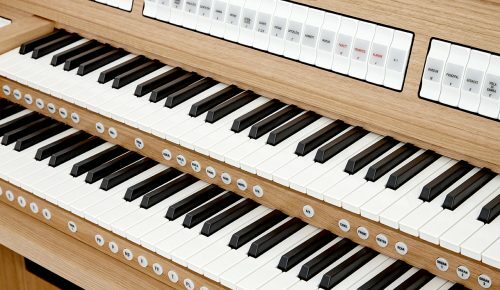 To put it simply: we analyzed the stoplists of dozens of international pipe organs and noted which stops occurred most frequently among these organs. These included stops such as the Principal 8’, the Flute 4’ and the Trumpet 8’. 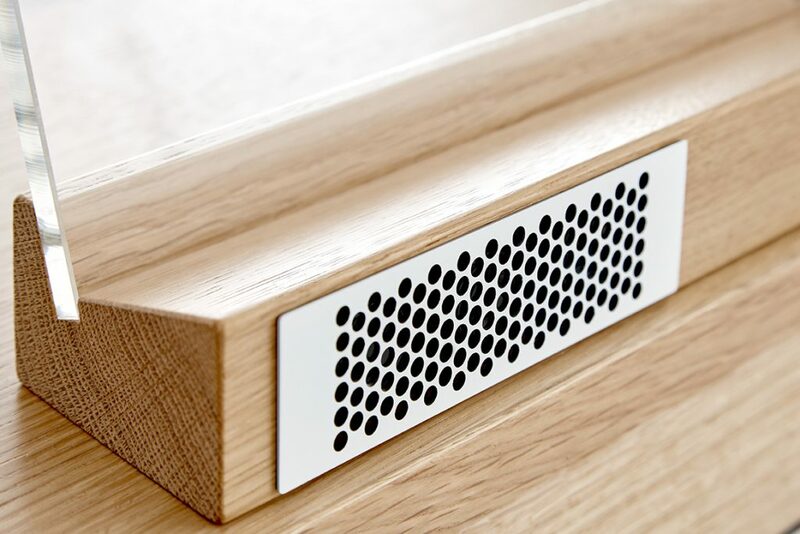 We subsequently gave these stops a place in the standard stoplist of the Johannus LiVE 2T. The names of these stops are printed on the illuminated stop tabs. 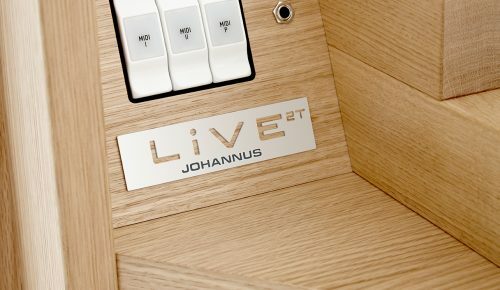 Just as you can on the Johannus LiVE III, you can upload sample sets for dozens of international pipe organs on the Johannus LiVE 2T, but special sample sets have been developed for the Johannus LiVE 2T. 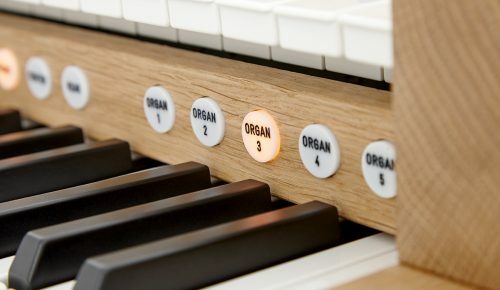 The sample sets are uploaded into the digital organ using a USB stick. 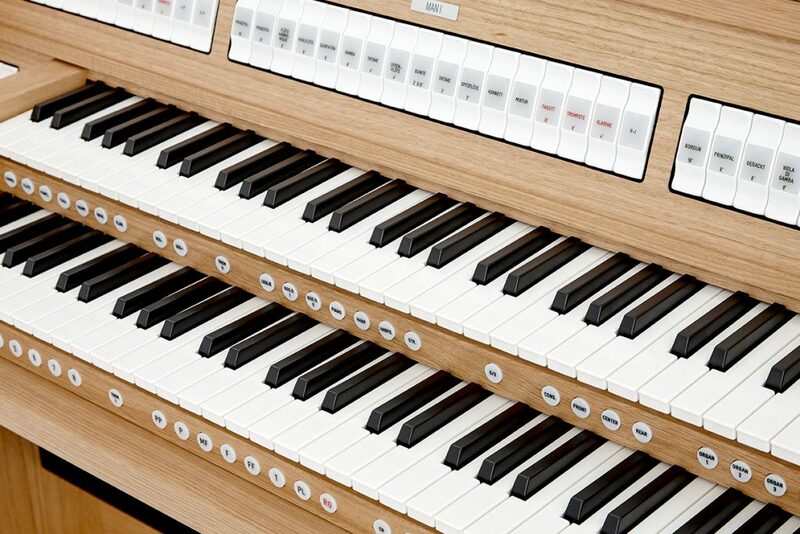 Each USB stick contains the authentic, professional recordings of a specific international pipe organ. 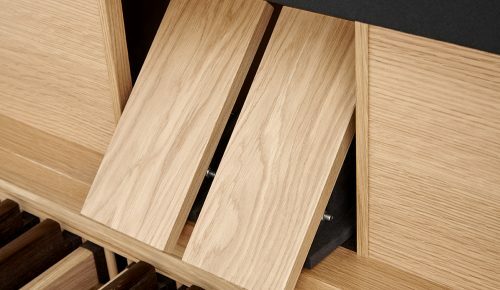 These sample sets contain a large number of unique stops for these organs. A number of selected stops from the very large Johannus sample database have also been added. 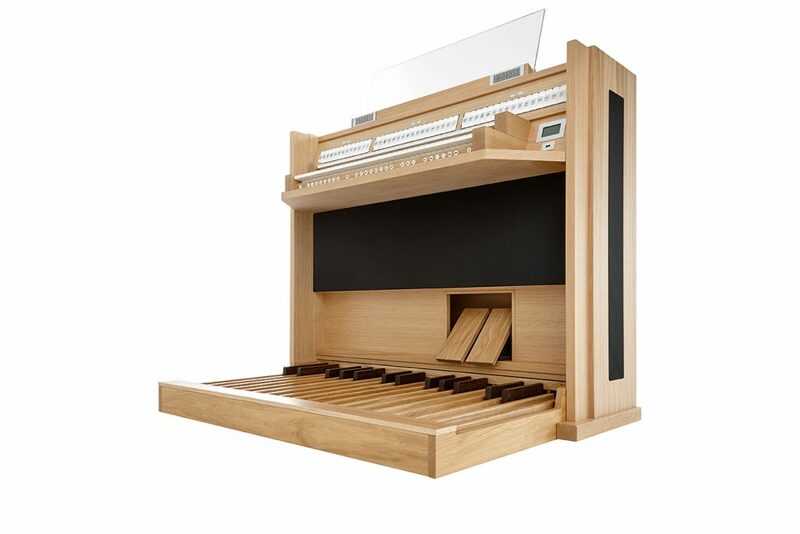 The result is that every sample set for the Johannus LiVE 2T contains exactly 44 stops, most of which come from the original pipe organ, the rest being supplementary stops in the spirit of and complementary to the character of the pipe organ concerned. 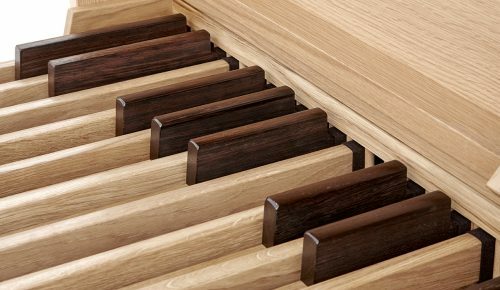 stop tabs represent a large proportion of that pipe organ’s original stoplist, plus a selection of stops added by Johannus. If you tap on any stop tab, then the name of the tab appears in the display as it appears on the original pipe organ that you currently have selected. The stops selected by Johannus are indicated on the 44 stop tabs. The alternative stops concealed behind them are always closely related to them. For example, a Flute 4’ can represent an Open Flute 4’, and a Principal 8’ a Diapason 8’. 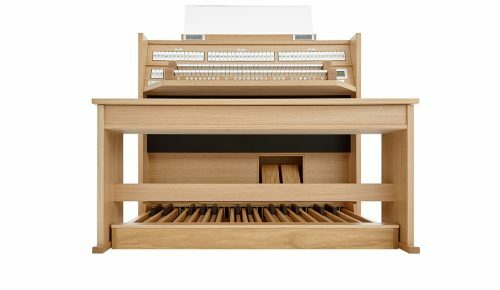 Thanks to this innovative and cost-saving solution, dozens of international pipe organs can be played using one standard stoplist. 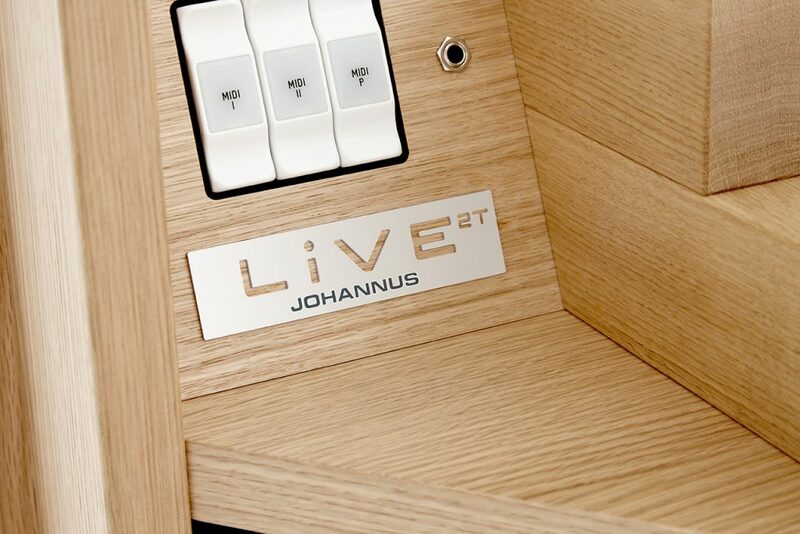 This technological innovation is one of the most important features of the Johannus LiVE 2T. 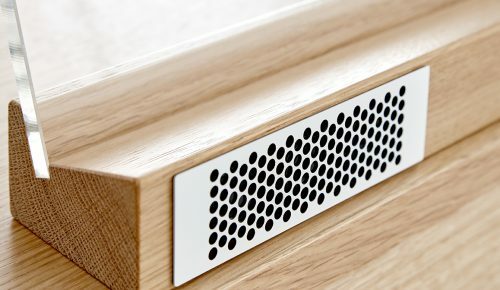 Choosing this solution means we can put the pipe organ within everyone’s reach, as we hoped.